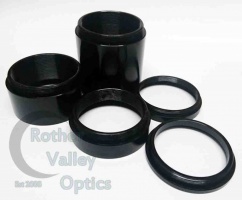 Our new range of parfocal rings come in both 1.25" and 2" fittings. They are well made all metal and work perfectly. 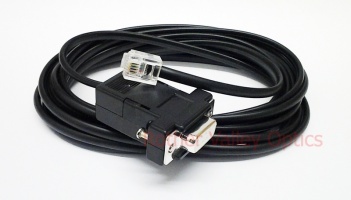 These are high quality made PC connection cables by Rother Valley Optics. They are used to control your telescope from your PC by using remote control software (available separately). 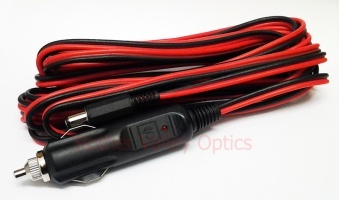 These power cables are high quality, reliable cables for use with various telescopes from a cigarette lighter socket. The cigarette lighter plug is fused for added security. High quality T2 extensions tubes available in various sizes from 3mm to 40mm. Particularly used to achieve focus with SLR and CCD cameras. 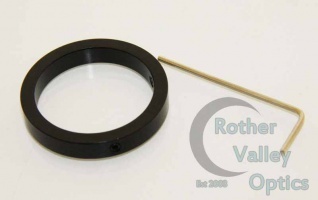 This very handy adaptor from RVO converts an M48 thread to a simple 1.25" nosepiece. If you have an M48 T mount, then this is the ideal adaptor to connect it directly to a 1.25" holder. 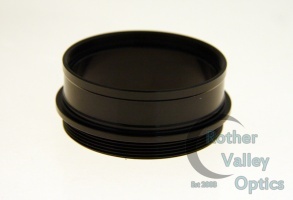 The nosepiece is also threaded to accept standard filters. 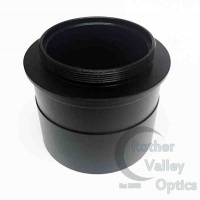 High quality low profile 2" T Adaptor. 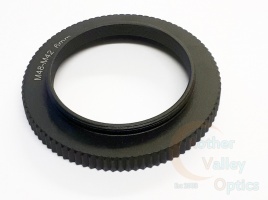 Used in conjunction with a T mount for your SLR camera in any 2" opening. Used for maximum light transmission when imaging with SLR cameras. Also features a 2" filter thread. A well made M48 female to T2 male. This adaptor converts any M48 male thread to a T2. If you have M48 on any accessory such as a coma corrector for example, this adaptor will change the thread to a T2 thread so you can use it with your SLR camera or guide camera. A very high quality and versatile adaptor. This handy piece will accept any SCT screw threaded adaptor, that will then push into any 2" opening. This adaptor also features filter threads. 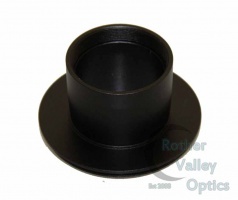 A very useful adaptor by Rother Valley Optics that connects to the hot shoe of your camera. Then you can use your smartphone with a variety of apps to aid your astronomy.